I have been working with my awesome trainer, John, for about 2.5 months now. I have started to make changes to my diet, mostly, cutting back on sugars, junk food, increasing veggie intake and water intake. As I have indicated in my earlier post, I have seen some positive changes. My family has seen some changes. My weight for the most part has not changed, if anything, I have gained weight. A few pounds,but certainly not losing. Have I been stellar about my food? No, I could have been better. But, I am still making changes and moving in the right direction. And I have been great about working out. That I am a champion at! It isn’t about perfection, it is about lifestyle…I remind myself. Yet, there is something nagging at me. I couldn’t quite put a finger on it. It started with my energy. I noticed, even with a good daily dosage of caffeine, that my energy was really starting to decline. As in, OMG, I am really dreading today’s workout. Not that normal dread, something deeper. And when I was done working out, I wasn’t getting that return of energy like I was when I started, it just seemed to zap me more. And I wasn’t sleeping as well either. Then, the weird stuff. Like bloating when I drank water. Whaaaaaaa?!?!?! Then, the headaches. The cravings. The overall moodiness. My weight fluctuation without any real logical reason to it. I knew something was wrong. And I knew what it was and I know why it was. I just didn’t want it to be. I was so excited and on a roll. Maybe I was too enthusiastic? Took off of the start line too quickly? Too much, too soon, too often??? Now, I know you are probably tired of hearing about this right now. It really does seem to be quite the buzz word. But, I have studied and read, and read, and read about the problems with inflammation and the problems it causes. And, BOY does it cause problems! The issue of inflammation is a convoluted mess. It is a jumble-mumble of topsy-turvy issues that all seem to be on top of one another, leaving you to wonder which causes what? And what started it all? What the heck is leaky gut? Well, it is very much as it sounds. Your gut, to some extent is made to be permeable. That is, to let certain things out of your gut (toxins, microbes, and undigested food particles) which allows them to be passed into your blood stream. However, with leaky gut, your gut is TOO permeable. And when things are flying out of your gut that shouldn’t; your body’s first response is to attack and hence…inflammation. 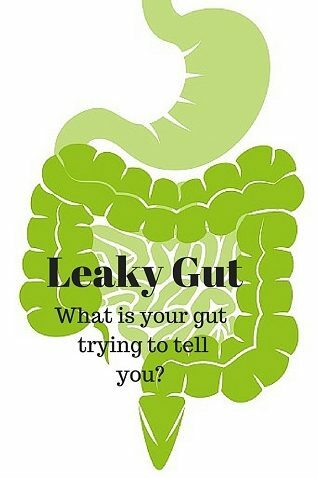 Here is a great article about leaky gut made simple. Stress, diet too high in sugars, refined carbohydrates and oils, intense exercise, eating foods that are reactive with your body, lack of sleep, coffee…..all can be very damaging to the walls of your gut. So, if you are experiencing leaky gut and continue to eat foods or expose yourself that make your immune system continually attack, you are going to start to have problems. Reactions to foods should be taken seriously and not passed off. Your body is trying to tell you something. The problem is, that most of us are so reactive that we are not even aware of when we are reactive or not or what is making us sick! If that is the case, then how in the heck do you figure anything out?! I never did go through with it. I thought by removing all of the offending foods that we should all be good, right?? Afterall, what the hell COULD we eat?! It was like everything was taken off the list. And with that adjustment we did improve immensely, but still there were issues that would crop up here and there…now and again. Obviously, our systems were not quite balanced, we haven’t achieved homeostasis. My body is obviously needing a reboot. I seem to be reacting to everything, including exercise (intense exercise can also illicit an inflammatory response). So, what am I going to do? Heal my gut! You can too! And for at least 20-24 days I will be following the protocol below. This is going to be my approach. Eliminate all top offending foods. This stuff heals. Really heals. It helps repair the lining of the gut wall, also allowing your gut to take a break from digesting foods. Loaded with necessary enzymes, low in sugar (big inflammatory aggravant), and huge on detoxifying, green juice will help to aid in gut repair and liver repair. Roasted, steamed, sauteed. Just get them in and a good dose of EVOO(extra virgin olive oil) with a smattering of Real Salt. Well 1/2 my weight in ounces. Warm lemon water in the morning to stimulate bile in the liver and then finish it up with maybe some green tea,but mostly plain water. Want to keep caffeine down to a minimum during this period. And once this period of 20-24 days has passed, I will start to introduce foods. Only ONE AT A TIME. And record EVERYTHING. Headache? Brain Fog? Bloating? Constipation? Diarrhea? Aches? Stiff Joints? Fatigue? Sleeplessness? Skin rash/acne? Weight gain? Seriously, if you notice something….ANYTHING that alters your normal state of being after you eat, avoid it and maybe introduce later (6-months) or NEVER. Why go through all that hell for a bite? But, I will check in as often as I can.